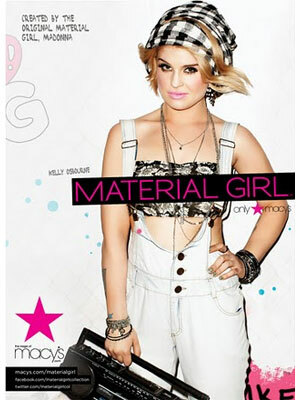 Kelly Osbourne (born 27 October 1984 in Westminster, London, England), is a British TV personality, and daughter of singer, Ozzy Osbourne, and TV personality, Sharon Osbourne. She starred in the reality series The Osbournes and was a contestant on the television show Dancing with the Stars, season nine with Louis van Amstel, winning 3rd place. 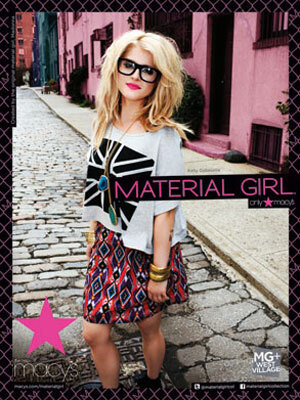 Kelly Osbourne appears in Madonna and daughter Lourdes' Material Girl clothing campaigns (Feb. 2011). 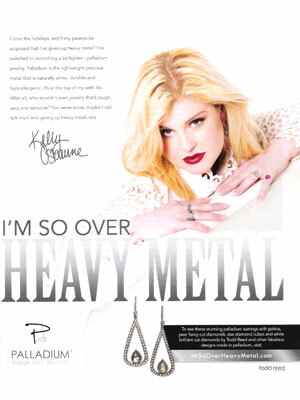 She was the face of Palladium Alliance International's Heavy Metal campaign with Pamela Anderson and Rose McGowan.